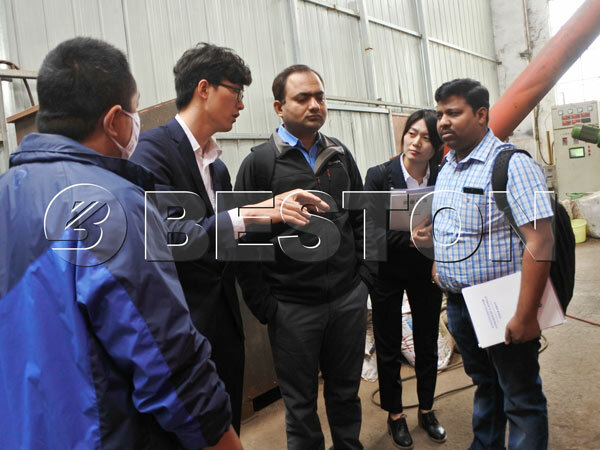 Recently, Beston got Indian customers’ visit to the professional charcoal making machine. 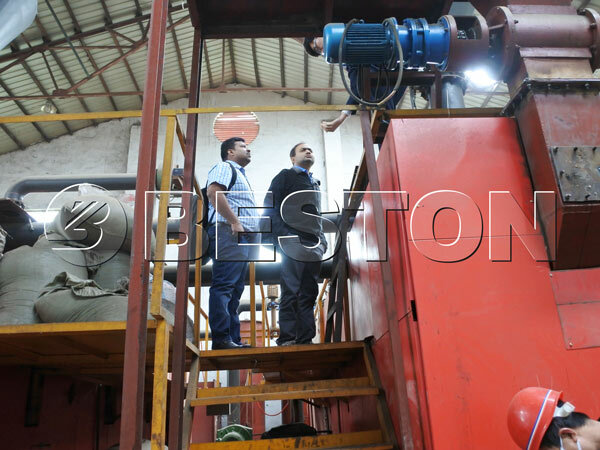 The Indian customers firstly visited Beston’s factory and watched the working process of the demonstration equipment. From feeding to discharging, there were no more than 15 minutes in total. The speed surprised the customers and they spoke highly of this machine. According to their requirements, we used rice husks as the raw materials and the end product was rice husk charcoal. And then we prepared some sample of the charcoal for the customers to take back home for further research. 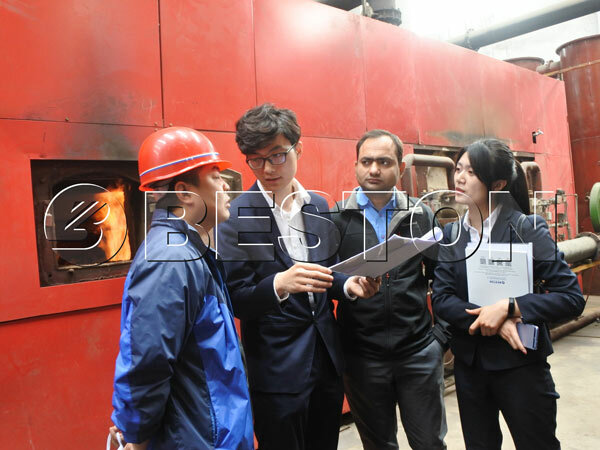 After the visiting of the factory, Beston sales consultants and engineers had 3-hour pleasant conversation and discussion about the carbonization furnace with the Indian customers. The customers expressed their own ideas about some designs of the machine and Beston representatives gave the relevant explanations. Both sides exchanged their opinions freely and they had a wonderful talking. 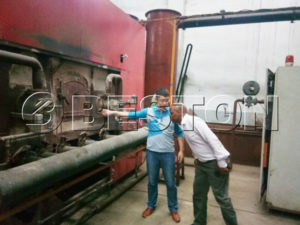 The professional attitude and patient explanation impressed Indian customers a lot and they were satisfied by our considerate service and high-quality biochar making machine. India is a large market with huge potential for Beston to develop, we will spare no efforts to serve for the clients there. But except for India, we also have customers from Asia like the Philippines, Thailand, Indonesia, South Korea and Malaysia. Moreover, as one of the world-renowned charcoal making machine manufacturers, Beston’s machine has been sold across the whole world. We have left footprints in Europe, Australia, North and South America and Africa in recent decades. If you are interested in biomass carbonization plant, you can feel free to contact us at any time.